Polished Map++ 1.0.0 is further down the page. 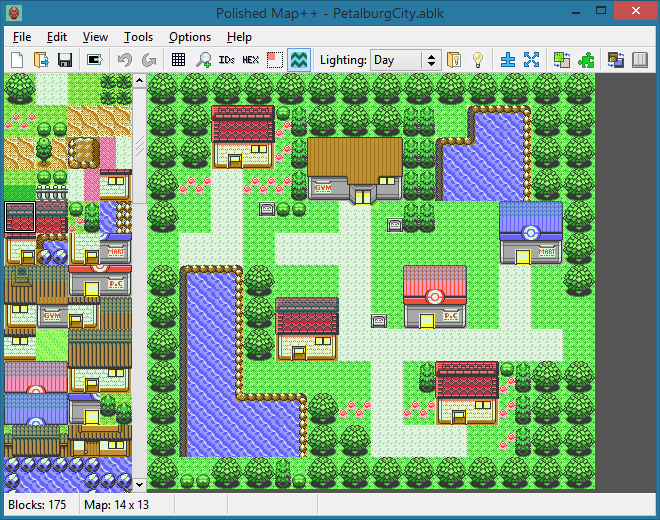 Polished Map is a map editor like crowdmap or Advance Map for pokecrystal or pokered. Download version 3.5.3 on GitHub and follow the instructions to install it. 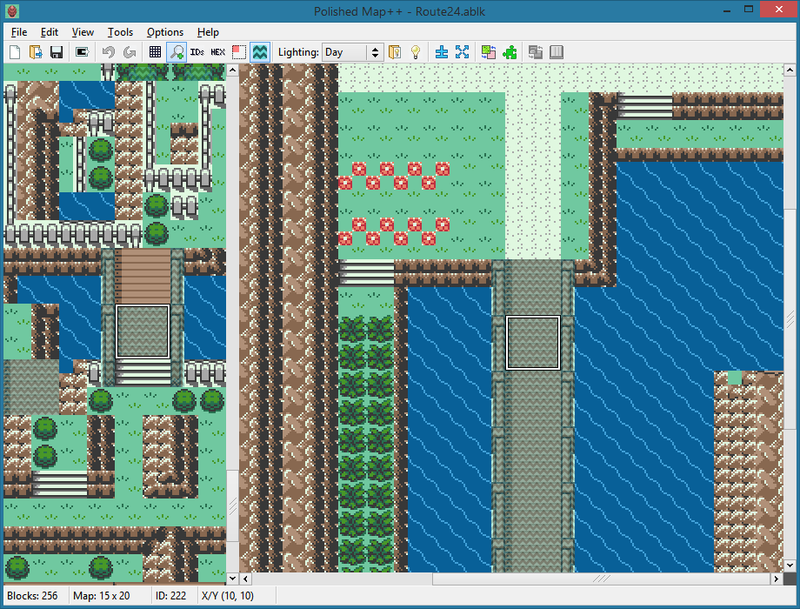 Polished Map can open maps from pokecrystal, pokered, and various hacks using those bases, including Polished Crystal, Pokémon Orange, Red++, and Pokémon Prism. All these projects have only slight differences in their file locations and formats, which is why they're all compatible. 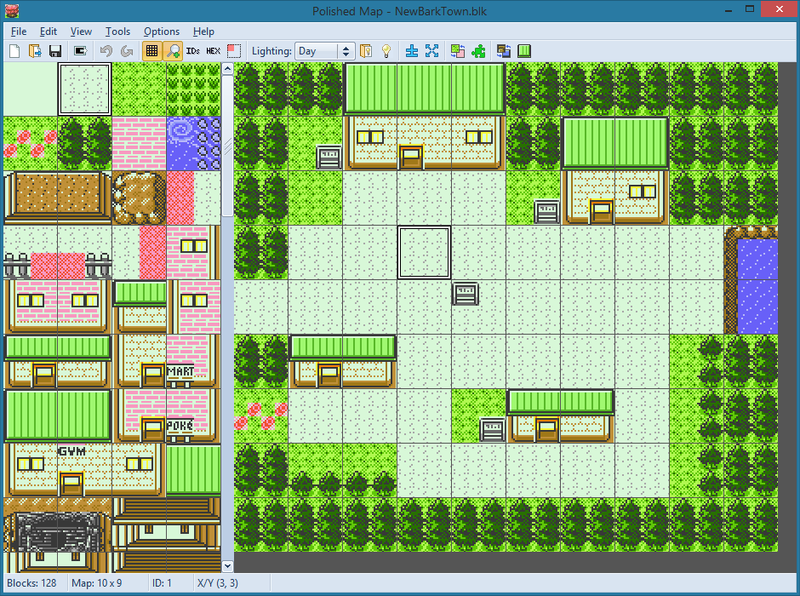 Polished Map can also edit blocks, tiles, roofs, collision data, and color palettes. It cannot display map connections or events (NPCs, warps, signs, etc). • Before you open a project, set the Options menu. 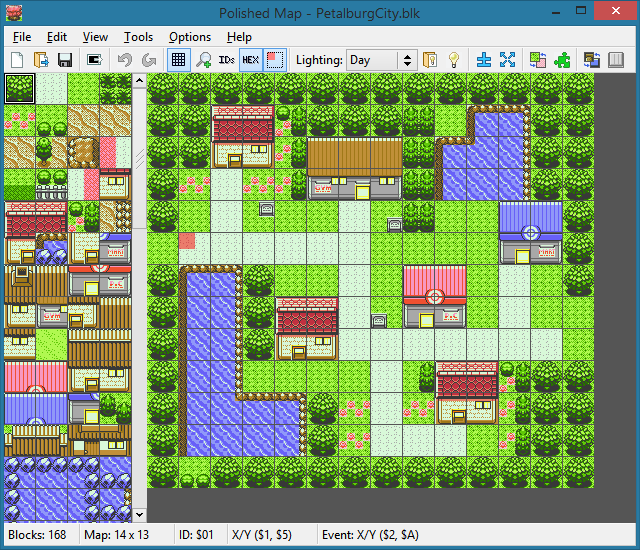 pokered needs "Monochrome" to be checked; hacks like Polished Crystal and Orange need "256 Tiles". 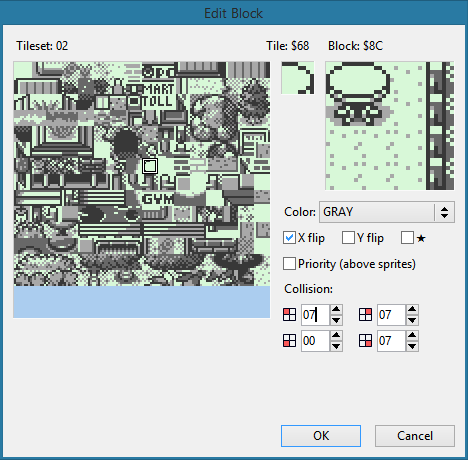 • Options→256 Tiles is checked for projects where you can use 256 tiles in a tileset. (pokecrystal skips tiles $60 to $7F and does not use tiles $E0 to $FF.) 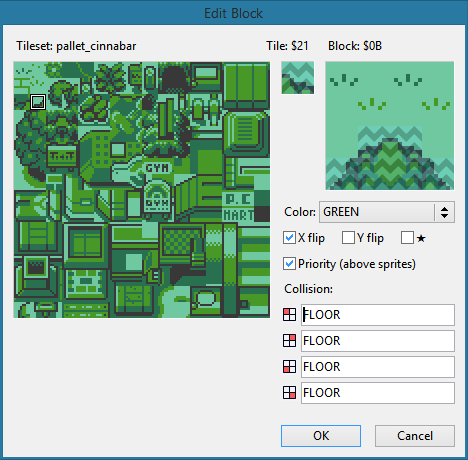 This tutorial explains how to extend tilesets. 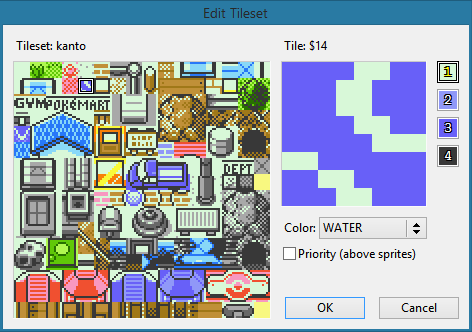 • The "Priority" checkbox in the tileset editor is meant for tiles that appear above sprites. This tutorial explains how to allow priority tiles. • If a map's size is not read correctly, you can enter it yourself from the height and width values in constants/map_constants.asm (or constants/map_dimension_constants.asm in Prism). 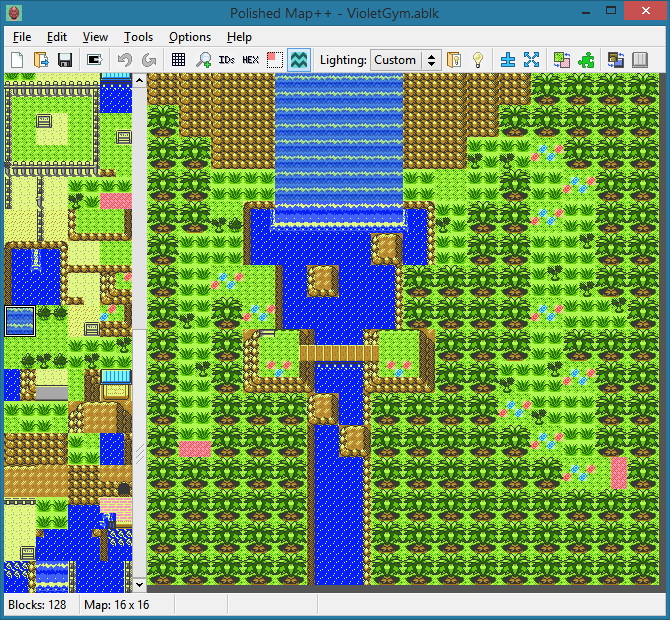 Likewise for the map's tileset, in data/maps/maps.asm. You can also put the size and tileset in the filename, e.g. 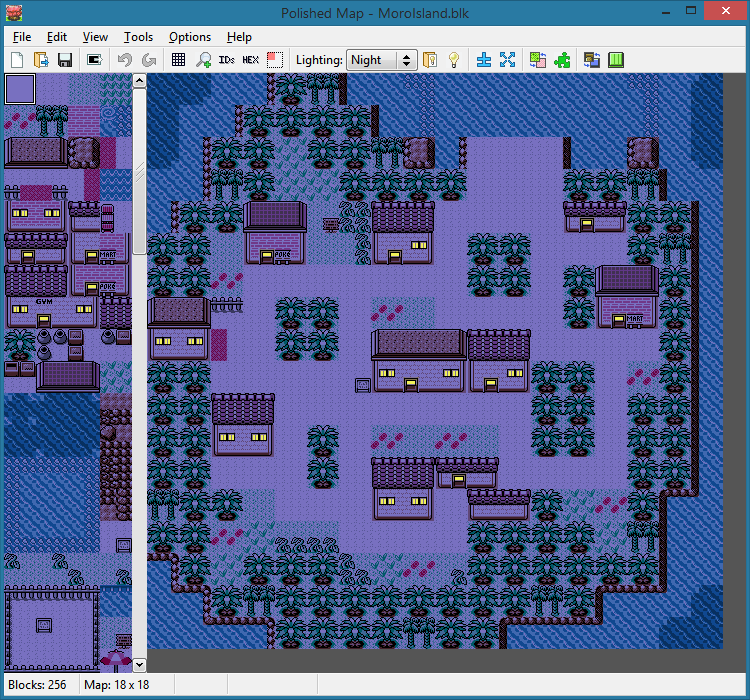 NewBarkTown.10x9.johto.blk for a 10x9 map with the johto tileset. • Right-click a block in the sidebar to open the block editor. • Middle-click and drag to scroll the sidebar or the map. • If you are using Windows, right-click install.bat and click "Run as Administrator". This will install Polished Map to your account's AppData folder and place a shortcut on your Desktop. You will also be able to double-click a .blk file to open it in Polished Map. • If you've made changes to your project that make it incompatible with Polished Map, you can probably edit config.h and config.cpp to add support for custom file locations. Damn, you certainly like Polishing. I'll take a look later but it looks pretty good. It's incredible! 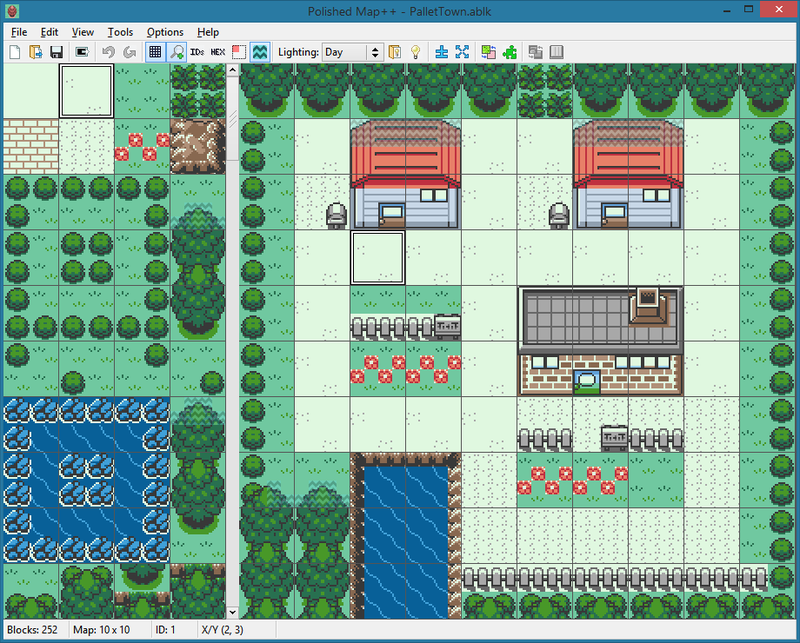 How would I upgrade the pokered tiles to look more like pokecrystal tiles? 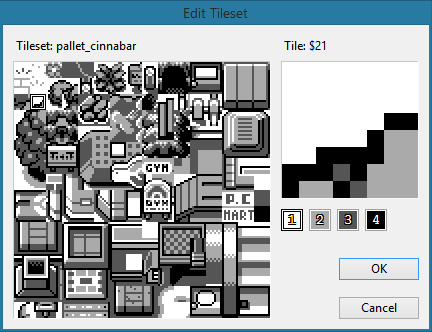 well the tiles themselves can be easily edited by just editing the .png files, or directly drawing on them in polishedmap. when using bash i tried making the file and i got some errors. Hi, I built this for linux and the menubar has no text at all. Do you know what could cause this? Nevermind, seems I just had to patch FLTK first using a patch the distro package used. Could not find the project directory for filename.blk! Make sure it contains a main.asm file. EDIT: Seems the issue was with the fact my repo was on my storage HDD instead of my SSD, which is where Polished Map is installed. Simple fix if you are having this issue, both need to be on the same drive. 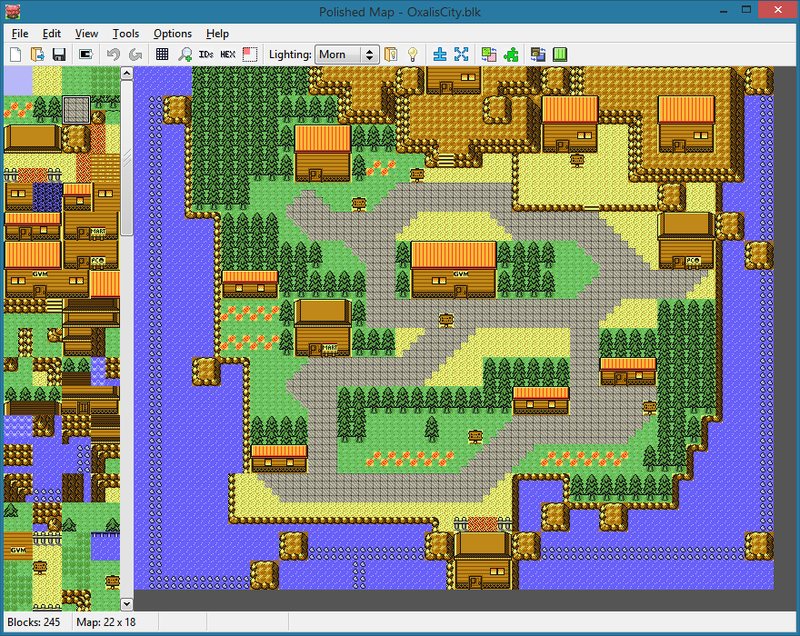 Your Map Editor is great. That bug has since been fixed. I didn't know what was causing it because all I had noticed is that double-clicking Polished Map's desktop icon worked but its Start Menu icon didn't, and chalked it up to "Windows being buggy again". Thank you for realizing what the root cause was! Hello to you too! I've considered some sort of event editing, but it's a low priority. It would be complex to add, and editing events in a dedicated text editor like Notepad++ is almost as good, combined with Polished Map's Event Cursor tool to find coordinates. Download version 1.0.0++ on GitHub and follow the instructions to install it. 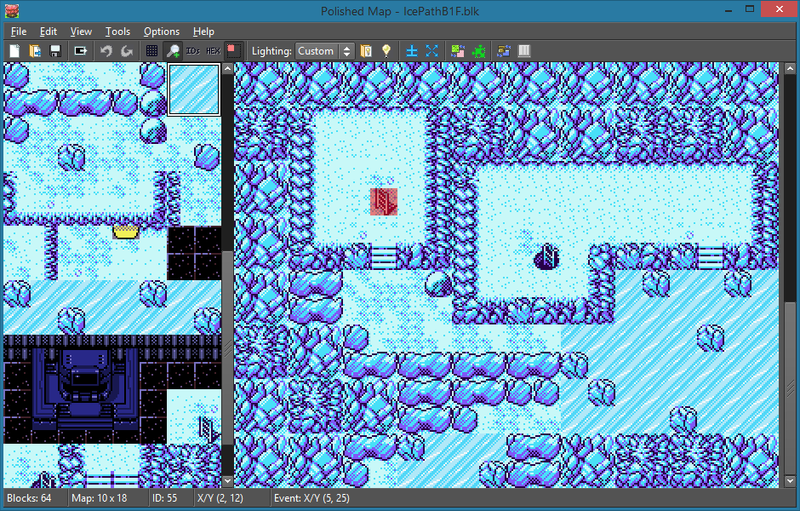 Polished Map already has optional support for expanding the tileset from 192 to 255 tiles. 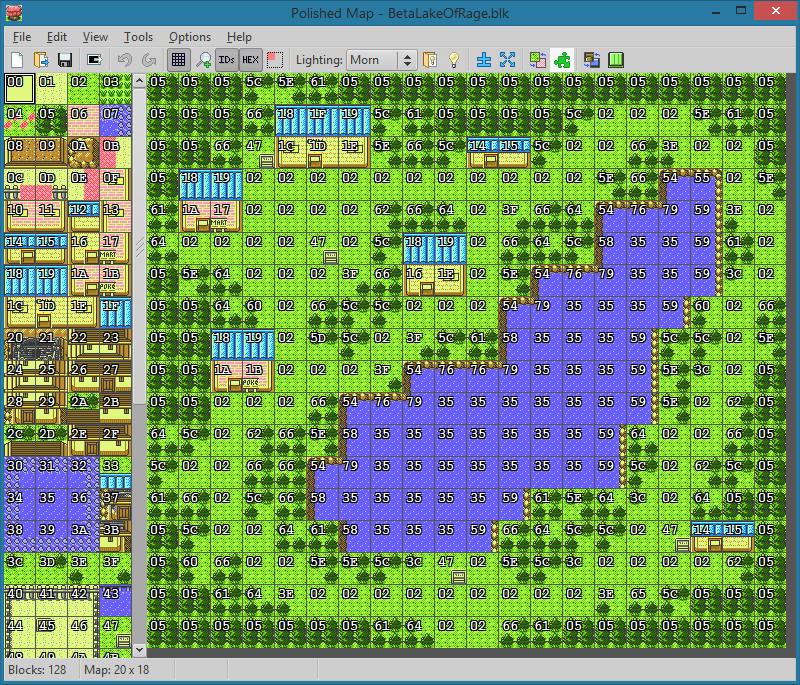 It also understands PRIORITY colors for tiles, allowing them to appear over sprites. But there's a more advanced technique to assign per-block attributes. 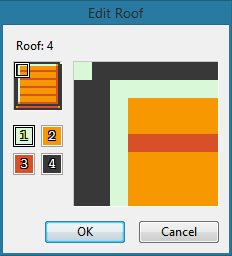 The same tile can be GRAY in one block, BROWN in another, and PRIORITY_BROWN in a third. 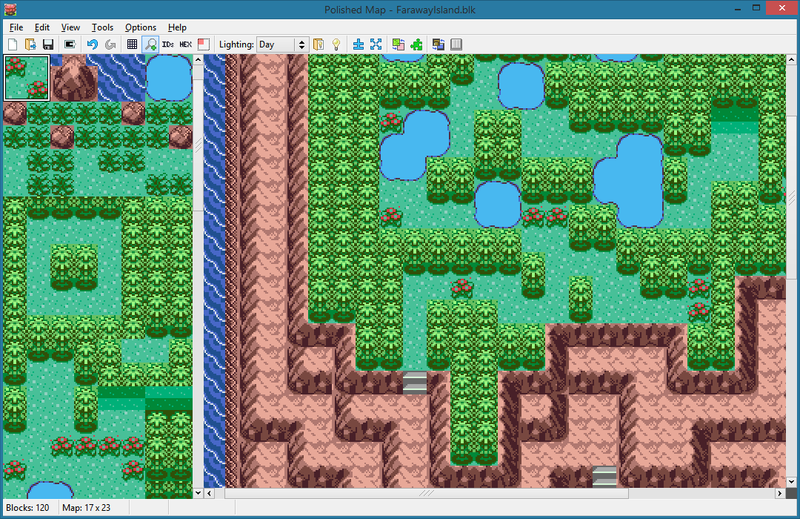 This also lets you use the X and Y flip attributes, just like mapping in Gen 3. Polished Map++ supports this. Instead of *_palette_map.asm files, it reads *_attributes.bin files. 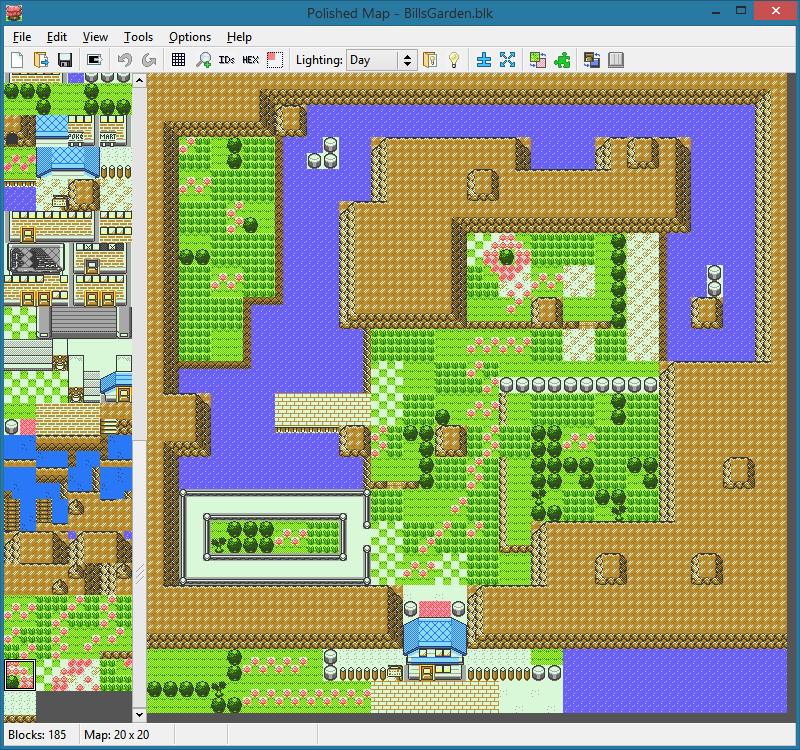 This feature was designed for Red++, but other hacks like Coral and Ancient Ruby are already using it to create more detailed maps. 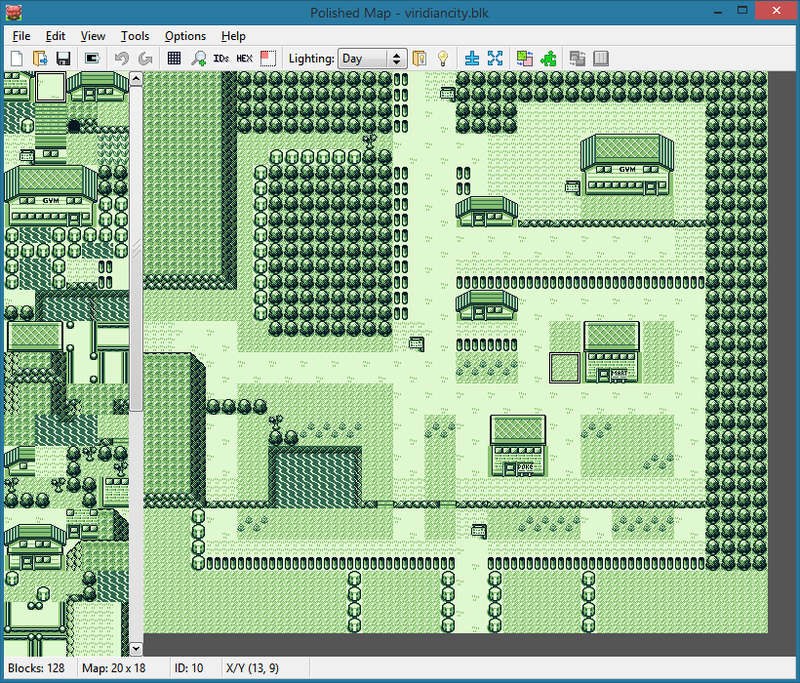 • Start with a pokecrystal project, then follow the tutorials to expand tilesets and assign per-block attributes. Otherwise Polished Map++ won't work with your hack. 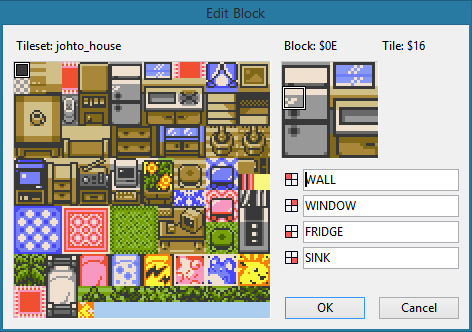 • The "★" checkbox in the block editor is meant for using even more than 256 tiles. 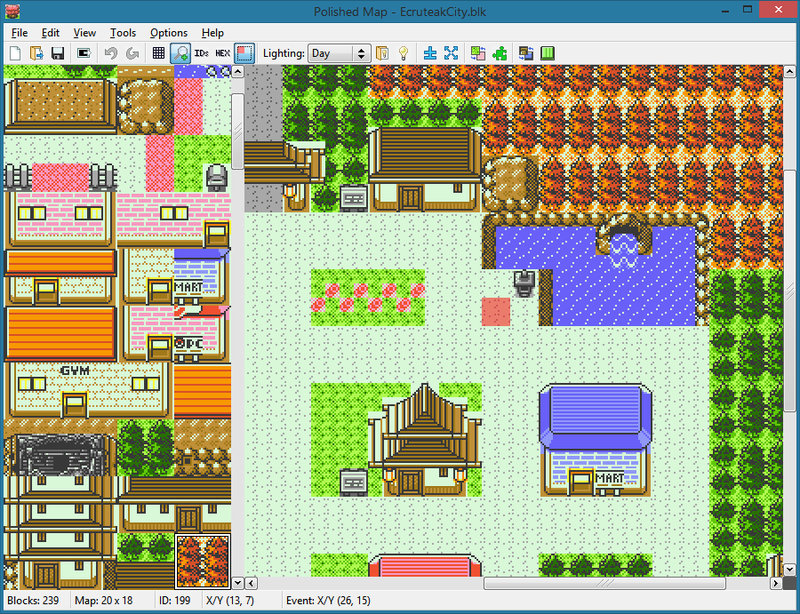 However, pokecrystal already uses the VRAM areas that this checkbox enables, for loading text and NPC sprite graphics. 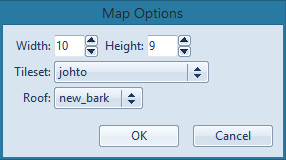 But if your hack loads tiles for maps in that area, the ★ checkbox lets you use them. • Polished Map++ can read .blk or .ablk files. 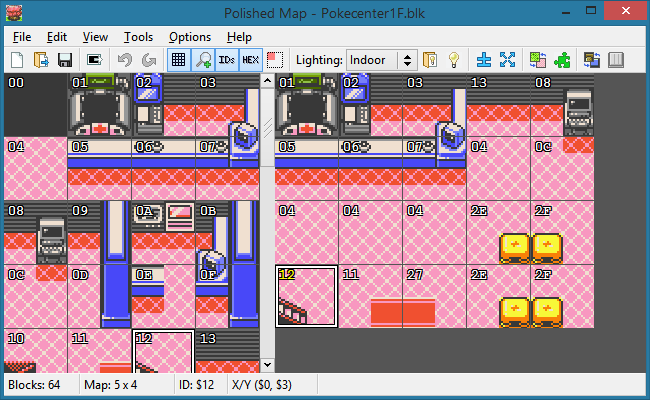 So you can name all your maps .ablk, and work side-by-side with a copy of Polished Map on a standard pokecrystal project. They won't interfere with each others' saved settings or file associations. 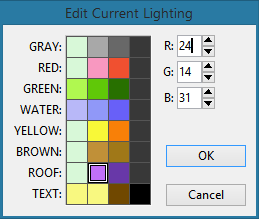 That will not be in Red++, no. It's not Red++ though, so what I said is still accurate. :P I had forgotten about the earlier map pics (I'm not sure where the map you linked is from) but since the announcement post it looked like you were replying to showed the routes in Red++ leading to Bill's House, I assumed you meant there. 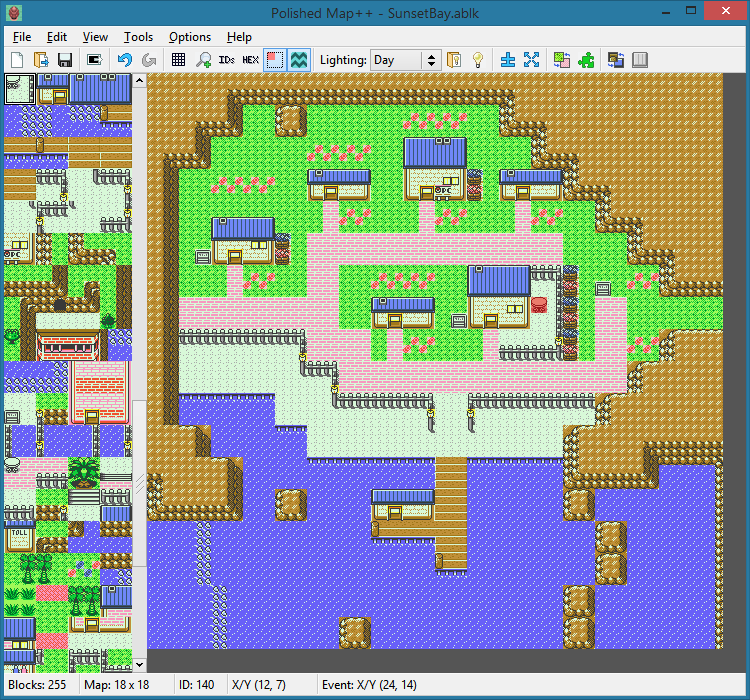 That screenshot of Bill's secret garden is from TPP Anniversary Crystal.